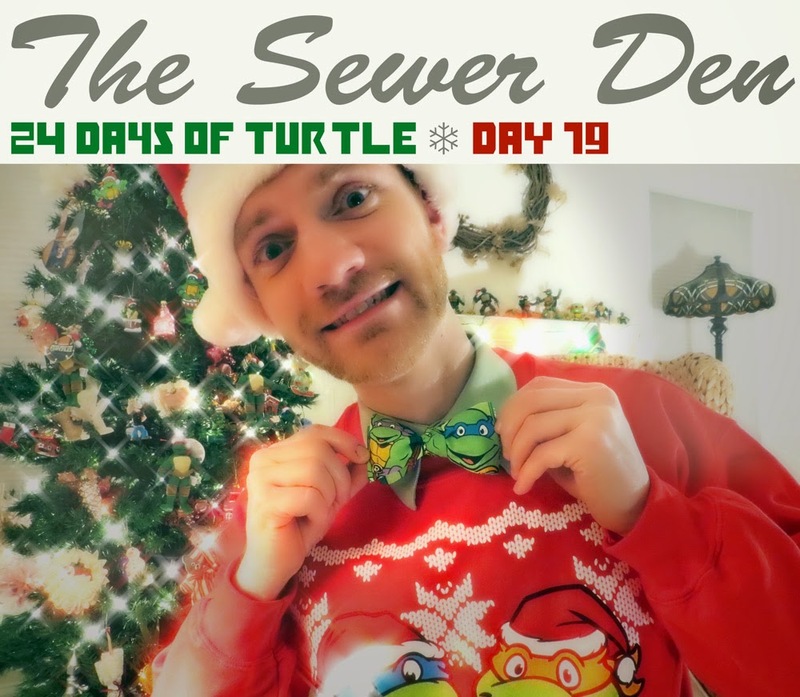 Get cowabunga classy on DAY 19 of the countdown. Mutate your ninja ensemble from dud to stud. The TMNT bow tie packs sewer style. Whether it's a low key Christmas party or an elegant black tie event, your Turtle Powered attire will surely garner attention. Dressing up for the holidays has never been this merry. I spotted this fun fashion accessory while combing through Etsy in an attempt to upgrade my holiday wardrobe. Sure, my TMNT Christmas sweater is dashing, but I wanted to boost my bodacious look. The TMNT bow tie from Johnnie Blue Bow Tie lifts my garments to a new level of swank. After putting it on, I treated the The Sewer Den like a catwalk, strutting around in totally tubular style. Unfortunately, my audience only consisted of vintage action figures and aged merchandise. Not the most receptive crowd. But, I am changing that! This sassy accessory will be making an appearance not only on Christmas, but New Year's Eve too. There's no better way to ring in the new year than having TMNT swagger perched from your neck! Is your wardrobe lacking pizza power? Join the classy club of TMNT fashion and grab yourself a bow tie. 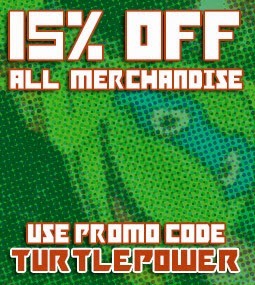 Johnnie Blue Bow Tie is offering 15% off all merchandise with the promo code TURTLEPOWER. From today until December 30th, grab bow ties and neckties at a discount. Johnnie Blue Bow Tie offers lots of fun designs, not just TMNT. Look sharp this holiday season. Check back tomorrow for DAY 20 of 24 Days of Turtle for more festive fun, gracious gifts, and possible prizes! Until then, stay jolly, dudes & dudettes! In the immortal words of Ric Flair "stylin and profilin" !!!!! Building a brand new house or getting your old structure remodeled, a house will always need strong and versatile plumbing system.